The "harriest chapter in the book," or Chapter 13 of Kawasaki and Welch's APE, actually did seem pretty hairy (harry?) to me. And I had to look up exactly what "hairy" meant here. And it wasn't an abundance of hair. It apparently means "alarming and difficult." This makes sense! I mean self-publishing, like we've repeatedly been told is in many ways a GREAT thing. 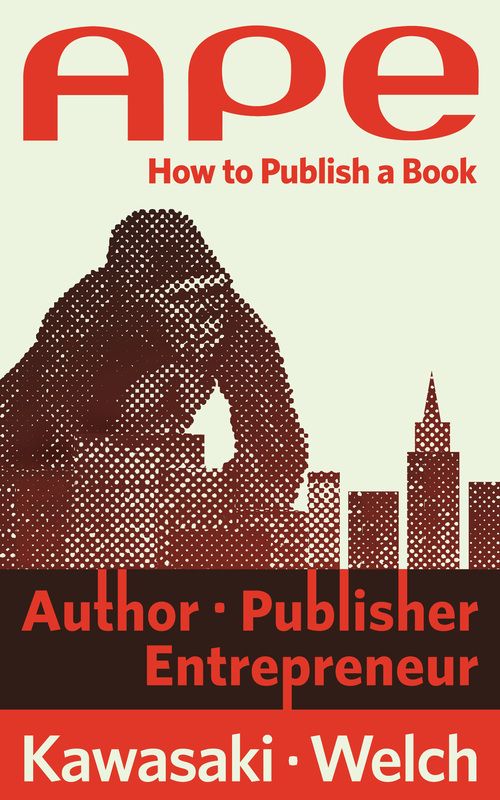 But it is particularly quite hairy because there are so many ways to do it--and deciding which one to use is especially alarming and sometimes difficult for beginners in the world of self-publishing. I have enjoyed reading from the APE book the most out of all of the books for class we have read so far and I highly recommend it to anyone looking toward publishing any of their work. Out of all thirteen chapters we were assigned to read this weekend, I enjoyed Chapter 8 the most because it talked a lot about editing and copyediting. This is something I am really interested in right now as a potential career. For class, I am taking an actual book published by Parlor Press, and am converting it into an ebook. This is work I have never done before, but I really LOVE it. Write as if no one is reading. I have a lot of advice for aspiring authors and self-publishers after reading and thinking of self-publishing my own work. You should write because you love it. Read more about Write as if no one is reading. Wow. APE is one of the most helpful books I’ve ever read. Chapter 13 is especially helpful with all of the book publishing things we’re doing in class now! The authors of this book probably called Chapter 13 the “hairiest in the book” because there is so much to process and get through! This chapter holds a ton of information about the converting process, and there are lots of things to comb through (pun intended). One of the things that is hard about preparing a book for distribution to a wider audience like they talk about in chapter 12 is that you’re going to have to format the file for all of those channels. This takes a lot of time, money, and knowledge about the publishing and converting process for files. Read more about If I can do it, you can too! Society is a roiling mass of development whether that be in terms of fashion, technology, religious practices , or many more. Our world is a rapid-fire secession of innovation. In this kind of culture, where an idea quickly blossoms into a way of life, there are the leaders and there are the followers. So what makes a trendsetter? How does somebody become the triumphant frontrunner of a new fad or way of life? Austin Kleon’s book Show Your Work raised that question for me when he stated that, “ we all carry around the weird and wonderful things we’ve come across while doing our work, and living our lives. These mental scrapbooks form our tastes, and our tastes influence our work” (75).